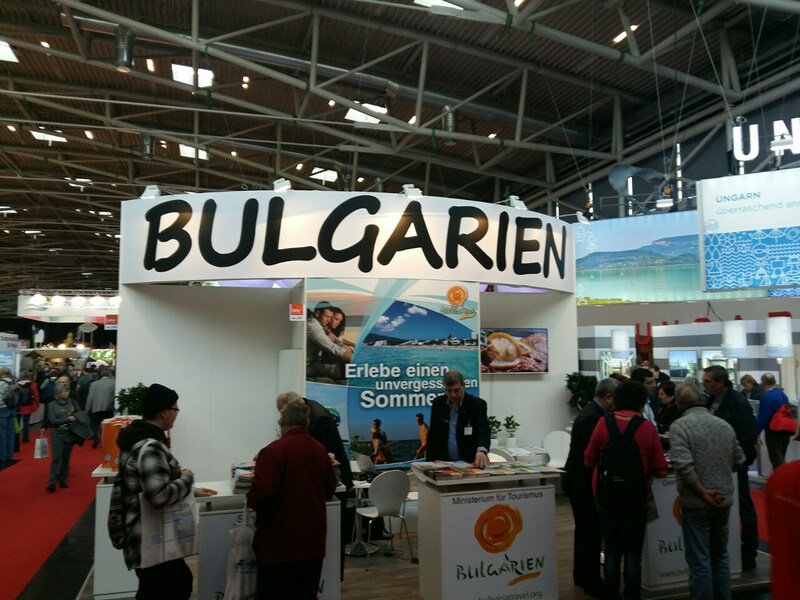 Nearly 400 people are visiting daily the information stand of Bulgaria at the F.re.e International Tourism Fair in Munich (10-14 February). At the tourism fair, which is aimed at the general public and professionals in the sector, our country is represented at a stand of some 24 sq. meters by the Municipalities of Varna and Dupnitsa, Albena resort and three tourist companies along with the Ministry of Tourism. As usual, the interest to Bulgaria is exceptionally high, in particular to the Bulgarian Riviera and summer offers for 2016. Guests of F.re.e are captivated by the opportunities offered by our country as an attractive year-round tourist destination with a rich heritage and inspiring scenery. Highly impressive is the interest many visitors display to the cultural, historical and natural resources of the Bulgarian Black Sea coast and in the hinterland. There is a huge demand for sightseeing tours in the country combined with horseback riding and biking, adventure tourism, caravanning, etc. Reacting promptly to the market situation, an increasing number of Bulgarian tour operators offer a variety of cultural-historical and natural-historical tours. Tourists willing to visit Bulgaria are predominantly amidst the ranks of the 35-55 age group, families with children, average-income and middle-aged people. The F.re.e Tourism Fair, held annually in Munich in the second half of February, is one of the strongest regional exhibitions of international scope. It traditionally attracts the attention of visitors from the state provinces of Bavaria, Hessen, Baden-Württemberg and the region of Salzburg (Austria). Leading themes of this year’s edition are caravanning & mobile leisure, biking, water sports, health & wellness. Also important is the fact that the exhibition takes place in the economically strong province of Bavaria, where according to the official statistics of the organizers 67% of the visitors have bought or booked a travel, and 92% plan to do so.